Stump Elk Vanilla Porter was fermented with whole vanilla beans and oak which give a slightly boozey nose, but no bitterness. If you decide to try the Stump Elk, we invite you to observe how this beer evolves as the glass warms up. The first cold drink of Stump Elk will have the most bite! The hops will be the most prevalent when cold. The vanilla bean aroma rides high on the heady foam of this beer. As the beer warms, note that the flavors give way to a sweeter profile and notes of caramelized sugar. By the bottom of your glass, expect smooth and sweet and no remaining bitterness. 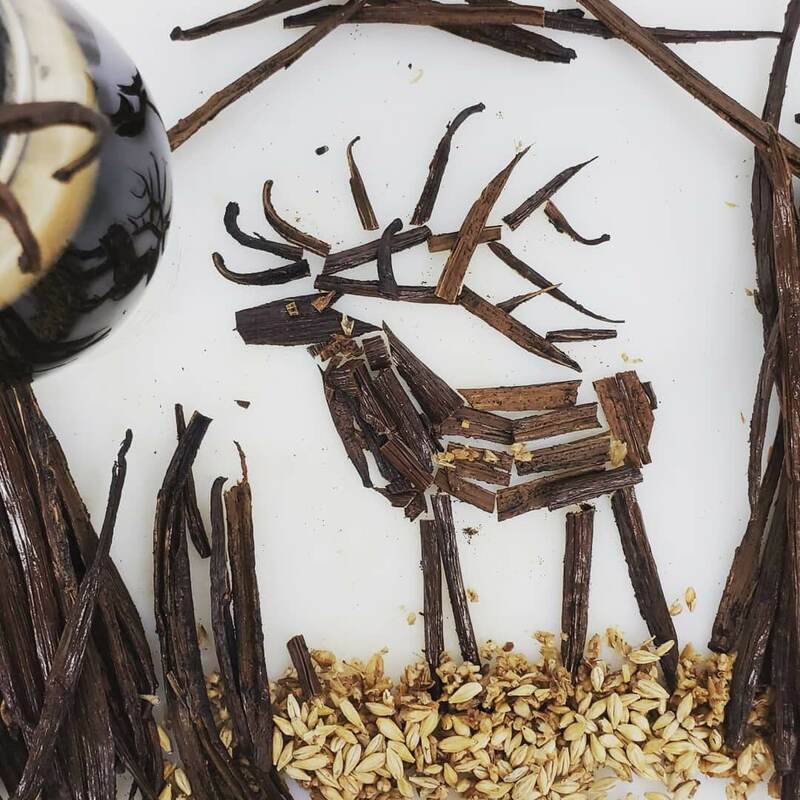 Stump Elk Vanilla Porter is named for those wiley woodland creatures in Glacier National Park who, upon being glimpsed, morph back into stumps and branches. Stump elk are closely akin to the terrifying ‘stump bear’, which has been known to cause cardiac events and double-takes amongst hikers!